Those seeking the perfect match when Christmas (or any other kind of) shopping for friends with a literary bent (and all book lovers are proudly a little bent) should look no further than The Matchbox Museum of Fine Arts, the brainchild of Los Angeles-based designer Hillary Kaye. Not simply its curator she's its creator, taking Diamond matchboxes and reproducing celebrated book dust jacket designs upon them. I was turned onto them by a friend who recently presented four sets of the Museum's Petit Fours to me, packages containing a quartet of similarly themed matchboxes. Delighted and intrigued, I contacted Hillary Kaye to find out what's what and where to get these 1 1/3 x 2 inch tiny gems. Petit Fours, above and below. 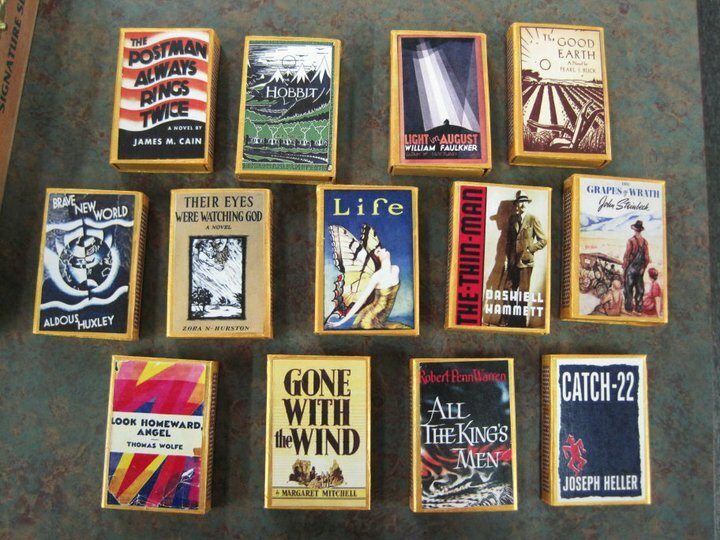 “Tiny gems” is a perfect description of the matchboxes," she responded, "exactly how I see them, each one a miniature world. 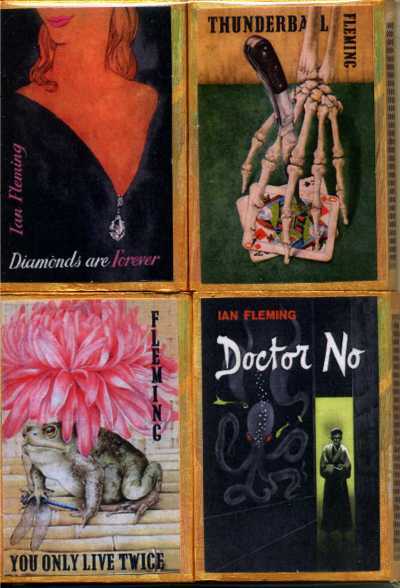 They’re based on the Diamond penny matchbox which I’ve always found visually pleasing. Only recently when I started working with them did I discover they are the exact dimension of the 'golden rectangle,' a shape used in classical antiquity and the Renaissance because of its aesthetic proportions. 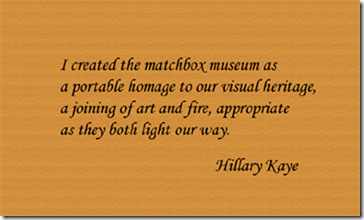 "I created The Matchbox Museum of Fine Arts to help make people aware of the heritage of visual imagery from the golden age of illustration. 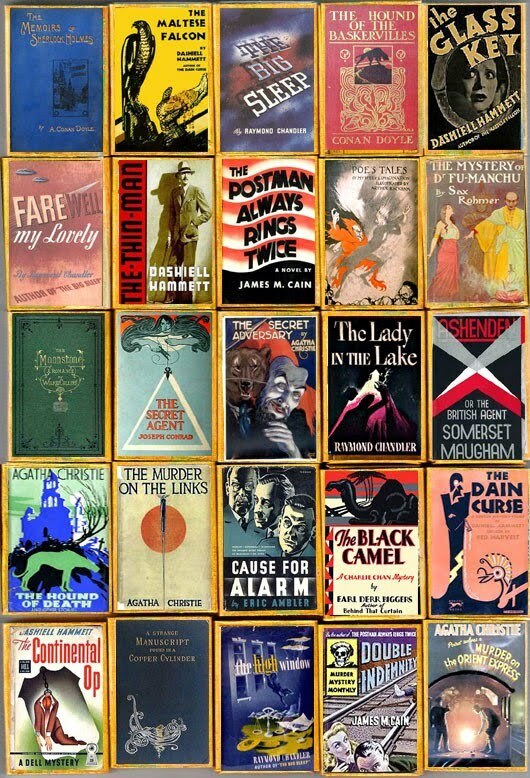 It can be a memento of favorite books for readers and collectors and an introduction to classics they might have missed. "I’m guessing your friend must have bought the Petit Fours at Vicente Foods market as they are the only place local [to me, in West Los Angeles] that has them. I sell to indie bookstores not the big chains. They're available in twenty-three States across the country including Tattered Cover, Books and Books, Square Books, etc. In L.A. they’re also available at Skylight Books, Book Soup and a number of other stores. Actual size: 1 1/3 x 2 inches each. 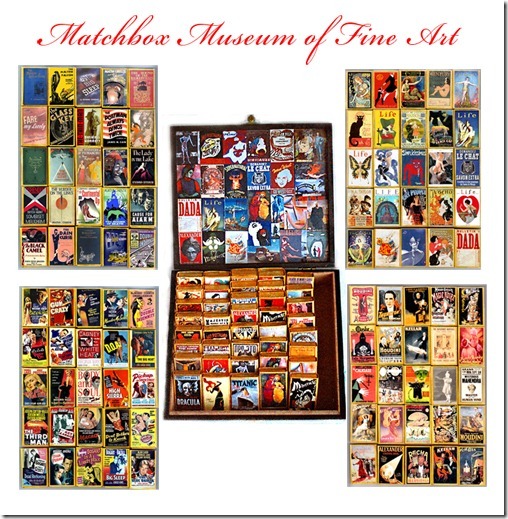 "Other than a minimal exposure at www.iceboxicons.com/matchboxmuseum.htm which is basically for paypal ordering; so far I don’t have a website for the matchboxes. Since 9/11 matchboxes can not be sent through the ordinary mail, just UPS. The shipping price for small orders would be high. 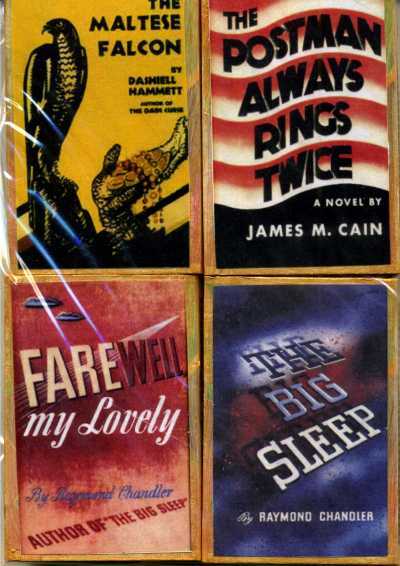 From the classic crime series. Scores available in other genres. 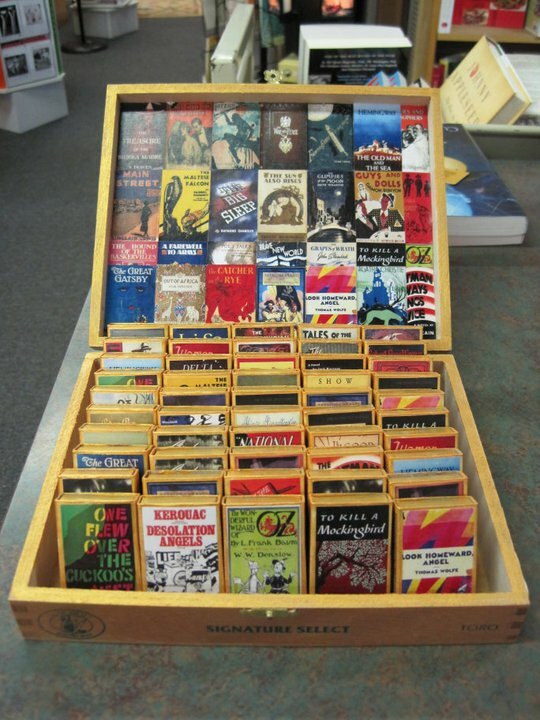 "Sets of the matchboxes in a display box have been available at some of the bookstores and I have considered making them available online for collectors. I do special orders on request." 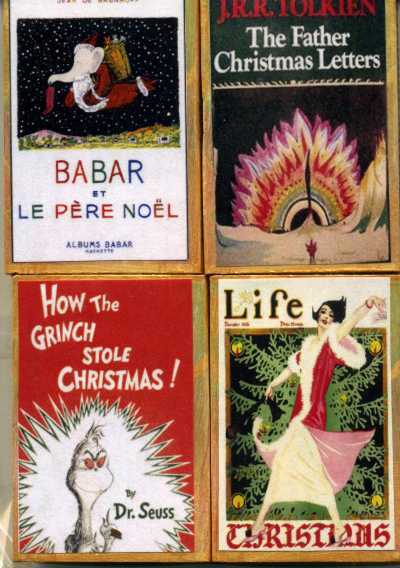 This year set Christmas afire with literary classics from The Matchbook Museum of Fine Arts. 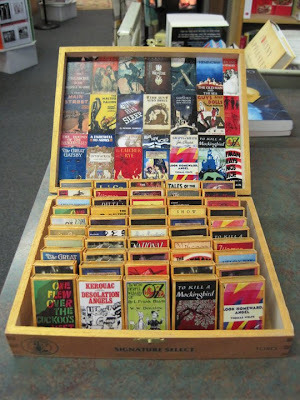 If your local indie bookstore or rare book shop doesn't have any, insist, pester, and persist until they stock them. I have little doubt that they will be great, point-of-purchase impulse items and steady sellers as all-year round gifts. Dealer inquiries can be directed here. Time For Vintage Book Clocks This Christmas. The Ultimate Gift For Book Lovers. 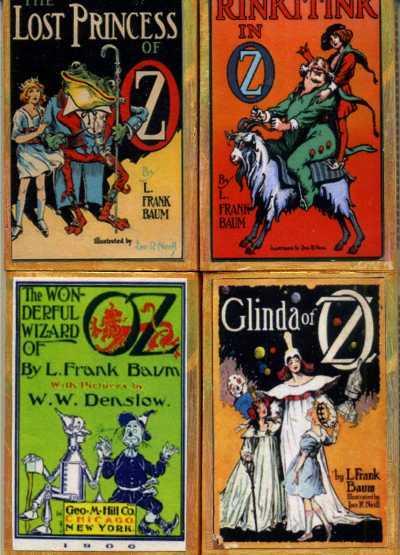 Rare Book Trading Cards On Santa's Top Shelf.